The Rails hosted their last dual meet of the season Tuesday (10/3) against Hoover. 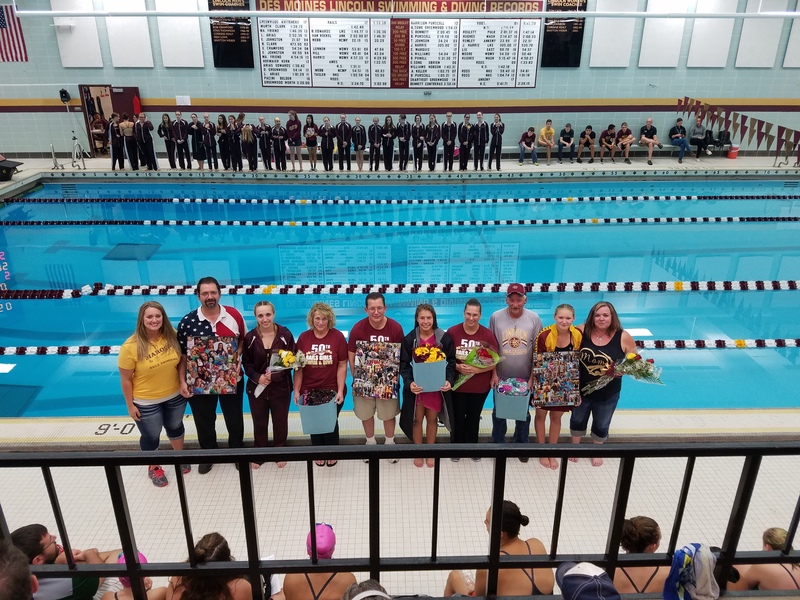 That meant it was time for Senior Night, a night when we recognize our senior swimmers and divers for all their efforts. It’s always a little bittersweet as we prepare to say goodbye to long-time team members while also being excited about where life will take them next. This meet was also a chance for all of the girls to have a little fun with most swimming less events than normal. Some even swam different events all together. Even the divers joined in on the fun competing in two diver-only relays. The Rails won big 141-24. The Rails are now 8-1 on the season with just one meet left. Then they’ll turn their attention to the upcoming Metro Conference Championships and Regionals, which both have big implications for these seniors legacies. Read more about our seniors below. Below are few meet highlights from the meet. Senior, Jolynn Harris dove a big dive list, include a reverse 2.5 somersault and a forward 3 somersault! Josie Helm’s 6.11.71 500 Free was a personal best! The all senior relay + a sophomore (Allen, Trucano, Harris, Pearson) took 3rd! Here’s a few photos from Senior Night!